Please enjoy the exciting performance the StagePass ™ 1600 Series provides for your next gig. CAD Audio has been creating high-value products since 1938 and prides itself on supporting and developing the live performer. Their design criteria was straightforward: developing a high-performance wireless microphone system agile enough to cope with today’s dynamic RF environment - that is both exciting to use, and easy to operate. 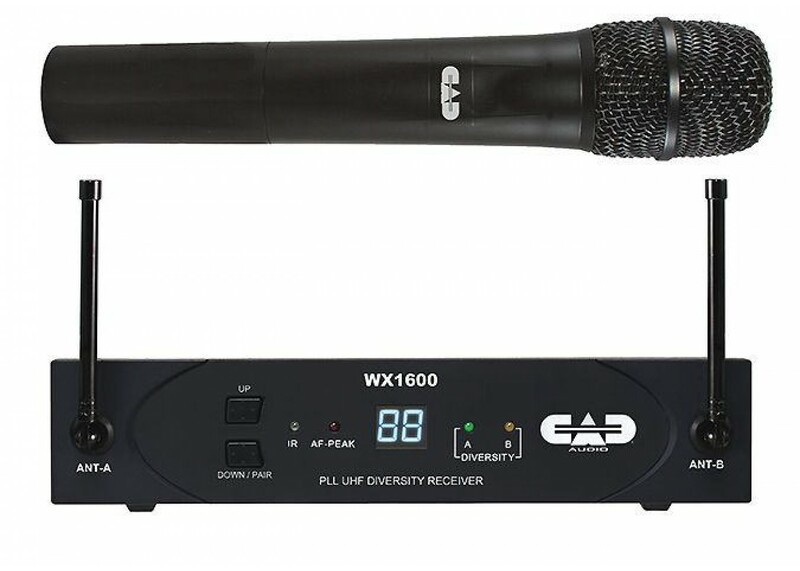 The StagePass™ 1600 Series Wireless Systems feature 100 channel frequency agile diversity reception for outstanding connectivity and minimizing multipath interference. Scan-Link™ technology provides instantaneous and automatic channel configuration (First, the receiver conducts an environmental frequency evaluation then selects a channel. Second, the receiver links to the transmitter and sets the transmit frequency automatically). CADLock™ automatic code encoded squelch helps to eliminate unauthorized interference. AA batteries supply >15hrs of battery life. Transmitters have SoftTouch™ On & Mute switches with multi-color LED indicators to monitor mute status and battery life. Metal Chassis provide a durable and formidable shielded enclosure. 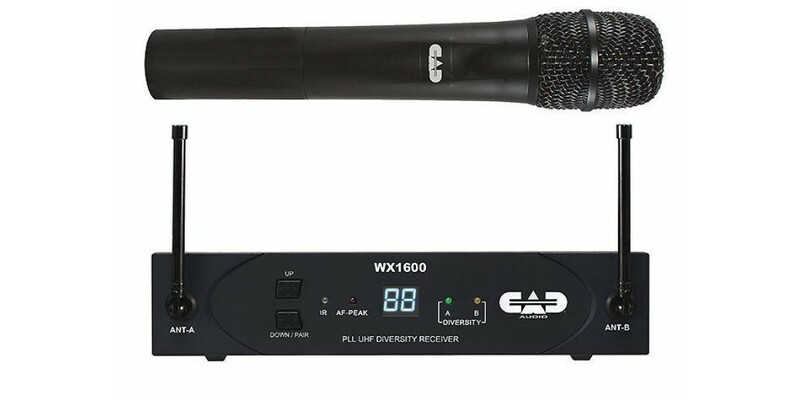 The 1600 Series receiver offers ¼” and XLR outputs for maximum flexibility and is supplied with rackears and joining kit. 100 Channel UHF Agility for frequency plan flexibility. Diversity Operation to minimize multipath interference. ScanLink™ technology for instantaneous “scan” of the RF environment and automatic “link” to the transmitter. CADLock ™ Automatic Tone Encoded Squelch to eliminate unauthorized interference. Softtouch™ Switches with multicolor LED indicators of On/Mute and Low Battery. AA batteries with >15hrs of battery life. Metal Chassis receiver for a durable and formidable shielded enclosure with included rack ears.